Harvey is right. When presented with one wine and one plate of food, you’ll make it happen because you don’t have a choice. And few wine and food combinations are so astronomically horrendous that you run screaming for the hills, napkin still tucked in your collar. However, the amplification of enjoyment that comes with following a few simple rules will pay back a hundred fold in your memory of that particular dish with that particular wine. Food and wine pairing works on principals of harmony on one hand, and contrast in the other. In other words, “like with like” can produce magic, as you’ll read, as does contrasting differences. 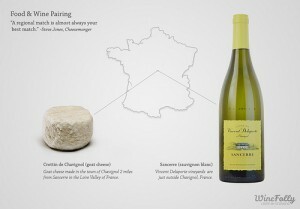 To help facilitate this, we’ve broken this into easy to understand pairings. Rich dishes that are highly seasoned and have deep flavors are complimented with wines that have equal richness. They mutually enhance each-other. Full bodied Caberenet and Syrah matches to the bigness of red meat from a charcoal grill. Lobster with melted butter is supreme with a big Chardonnay. The rise of interesting dishes with influences from China, India, Thailand, Laos, and Indonesia is great to see. A whole new palate of flavors is now easily available to American food lovers. With dishes like these, a lighter bodied wine plays off the spices and complexity, dancing with the flavors rather than knocking them out. For particularly hot dishes (anything involving Thai chilies, for example) a lighter bodied wine with some residual sugar works wonders, gently putting out the fire. For a spicy Chinese dish try a Mosel Riesling to experience this great flavor dance. What grows together goes together. If you’re cooking a Provencal meat dish, find a wine from the Southern Rhone. If it involves truffles, seek out wines from Piemonte. A roast of ham, potatoes, and sauerkraut? Alsace or Germany. 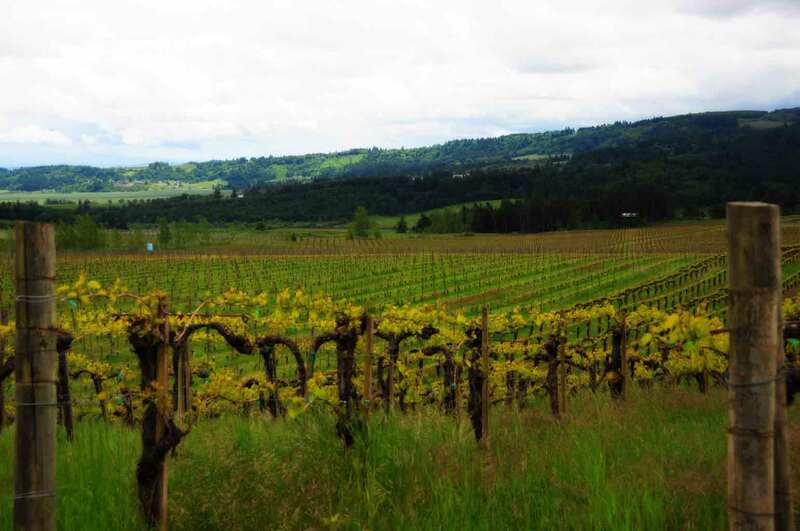 If your recipe has a regional basis, often the wines of that region match hand-in-glove. In our office, we often do wood fired pizza with Tuscan or Southern Italian wines. For Swiss Raclette, we pull out Swiss wines. The deep cultural connection between the foods and the wines, especially with old European regions, is evident with just one bite and sip. Tannin is the chemical compound in a wine that causes your mouth to dry out and not re-salivate. It’s not only found in many full bodied wines, but also strong tea and walnuts (think about it … it’s not exactly refreshing to eat a handful of walnuts). Tannin, at a molecular level, is mitigated by fats and proteins. Both are literally changed by coming together, forming balance that makes the tannin less evident and the fats less ‘fatty’. Thus, a young and tannic Cabernet tastes devine with a marbled rib eye steak. Having a Barolo that is biting back at you? That’s why you keep good cheese at hand. The whole ‘wine with cheese’ thing is all about making relatively tannic wines easier to enjoy. Try it out by sipping a tannic wine and holding it in your mouth, swishing it around, for 20 seconds. Then nibble on some cheese, and have another sip and do the same thing. Presto. Food and wine pairing 101! Another theory on food and wine pairing is to match the personality of the dish with the personality of the wine. A dish with big, forward, and agressive flavors needs a big, forward and agressive wine. Likewise, with finely prepared food presented with precision and enormous fragrance, a wine with a similar personality is needed. Pinot Noir and Sauvignon Blanc are considered supreme food wines because of this … the detail of the wine plays off the fragrant aspects of a good dish. Perfectly prepared seafood with complex herbs and citrus are right at home with detailed wines. When a dish with high acidity (red sauce on pasta) is served with a low acid wine (California Merlot), disaster happens. After each bite and sip, the wine tastes more and more soft while the food tastes more and more acidic (bordering on metallic). They push each other apart. But serve an acidic dish with an acidic wine (red sauce pasta with a Sangiovese from Chianti), and they go mano-a-mano. One doesn’t overwhelm, and they play well together. Because of the brightness, detail, and acidity of Champagne it’s one of the finest food pairing wines on the planet. Want to experience the ultimate pairing? Try Champagne with potato chips. Anything fried and salty with the bubbly is a quick route to happy town. Vegetarians (or just lovers of salads) have always had it tough with wine pairings. Folic acid, prevalent in green veggies (and abundant in artichokes, broccoli, brussel sprouts, and leeks), causes strange chemical reactions with many wines, making them taste falsely sweet. It’s a strange sensation, and one you should seek out at some point just for the experience. Luckily, Austria brings us delicious wines made from Gruner Veltliner, the one grape that seems to have magical properties when it comes to pairing with green veggies. For a splendid and healthy evening, do a kale salad with pinenuts, currants, and parmesan paired with a fine Austrian Gruner Veltliner. Here is the secret to dessert wine pairings: the wine ALWAYS has to be sweeter than the dessert. If you stick to this rule, you’ll hit a home run every time. Need more ideas? Be sure to check out our exhaustive list of wine and food pairings.